Ray Ban RB 2140 Denim Wayfarer - Black Need Help? 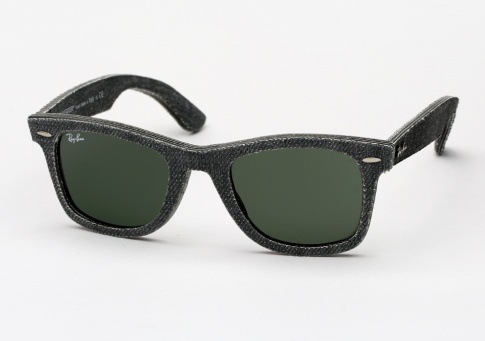 Ray-Ban has given their iconic wayfarer a rugged makeover. The fittingly named "Denim Wayfarer" is meticulously layered with denim. This design is the result of two years of research, which has resulted in a high-tech layering process that gives each pair a completely unique look that will only get better with age and wear. Each pair is then finished with original rivets.